Andrew is a partner in the Firm’s Litigation and Motor Vehicle Groups. Andrew concentrates his litigation practice on complex commercial litigation and regulatory matters. Andrew has successfully represented clients in a wide range of matters, including disputes regarding employee restrictive covenants, licensing agreements, product liability, telecommunications, government contracting and other complex contractual relationships. He has represented clients in trials, appeals, and regulatory appeals in state and federal courts throughout the United States. Andrew also regularly counsels and represents motor vehicle manufacturers regarding franchise related disputes, including disputes relating to dealer territory, enforcement of facility standards and proficiency programs. 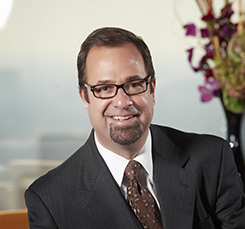 Andrew also has extensive experience in the area municipal and state procurement law and has represented clients in disputes regarding bid protests, debarment proceedings, contract compliance issues and investigations regarding compliance with minority and women-owned business programs. Andrew previously worked for the Chicago Board of Education, where he represented the Board regarding procurement disputes. Represented national van lines in disputes with local agents regarding termination of agency relationship and prevention of trademark infringement.